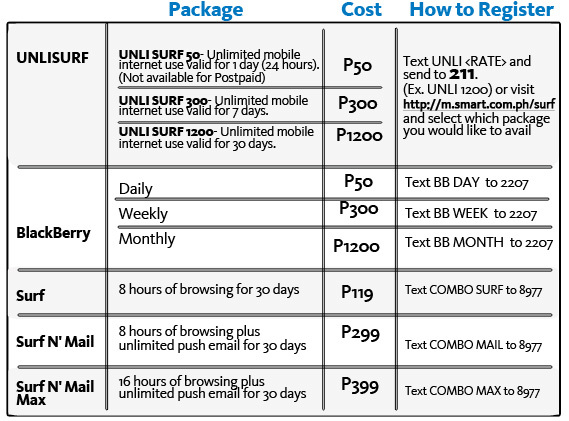 I'm not aware of any non-postpaid unlimited mobile internet service from sun. I also tried searching through their website but I haven't found any. All I got was the previously mentioned Sun iPlans. Update: Sun offers i50 (one day unlimited internet) that can be use both on your mobile phone or the sun broadband usb dongle. To register, just type in i50 and send to 272. Thanks Jed for the tip. 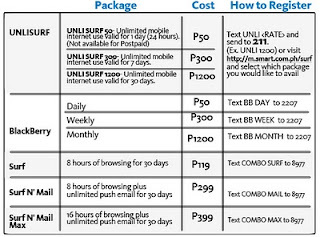 sun offers i50 (one day unlimted internet) usable both on your phone or via sun broadband wireless.. Thanks jed, i added your info already. kailangan po ba sbw sim gamit? kasi i try to reg sa i50 sa regular sim ko invalid key word daw.